Cookie booths are great! They offer all kinds of cultural experiences. 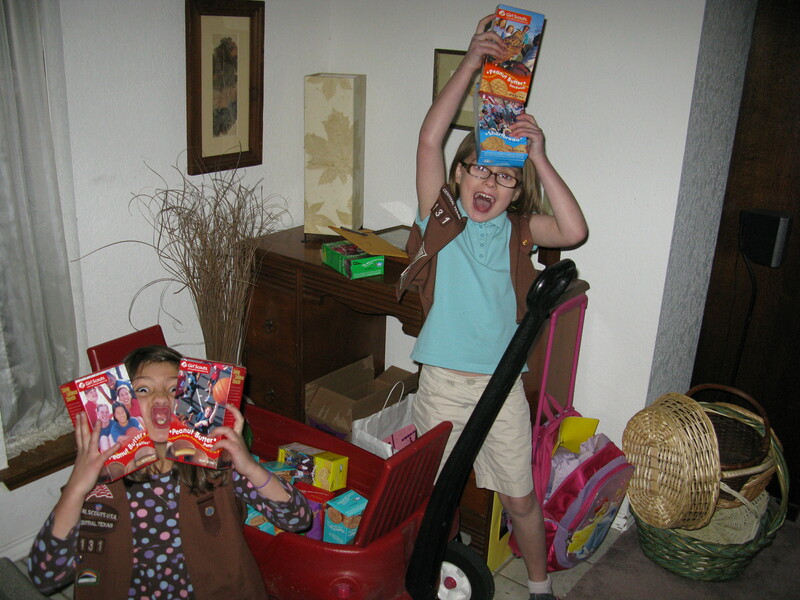 In honor of Girl Scout Cookie Season, here are my top ten “happenings” at a cookie booth from our last six years. 10. 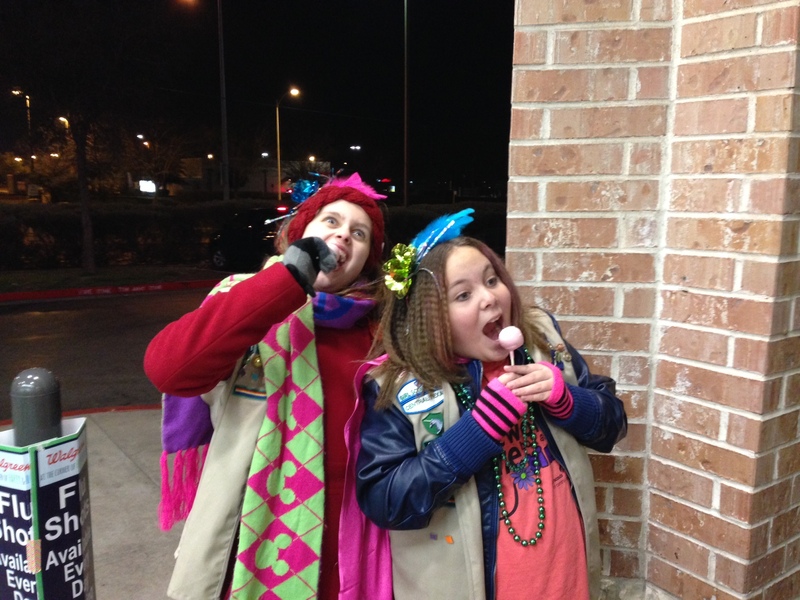 Selling 90 boxes of pity cookies at a Walgreens because it was 25 degrees that night. 9. Running out of Carmel Delites and finding a car in the Wal-Mart parking lot with cookie magnets on it, waiting for them to exit and asking if we could trade them for a case. They said sure! 8. Having a customer buy an entire case at a booth. My partner was so stunned she couldn’t give him the total cost or make change. 6. Watching the looks on people’s faces when they use the old, “I don’t have any cash” routine only to be met with, “But we take credit cards!” Many turn around and buy but plenty don’t know what to say and sort of slink off while stuttering. 5. Having people who are blind come to your booth and hearing the girls give detailed cookie descriptions. 4. Seeing the looks of surprise when they girls say, “Quieres comprar galletas?” And then the laughter that ensues when the moms try to say the flavors in Spanish. 3. Having a customer buy two boxes with a $100 dollar bill and donate the rest. 1. Being offered drugs in exchange for Girl Scout cookies. Yes folks, they said, “We don’t have any cash on us…” Then they held out their hand where I could see what they did have. I thought, wow they must really think I’m some sort of super hip Girl Scout Mom. NOT! Of course, then I watched them go off into the parking lot and make deals, bet they had cash after that. What are your stories from this year or cookie seasons past? Share them with me in the comments section and let’s all have some more laughs and gasps!